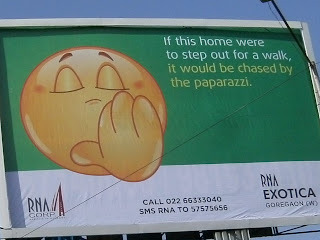 For over the last decade or so advertising in the property market in India has been becoming increasingly vibrant; I had written a post on this subject (see Selling Property Creatively) earlier but I felt an update was necessary. 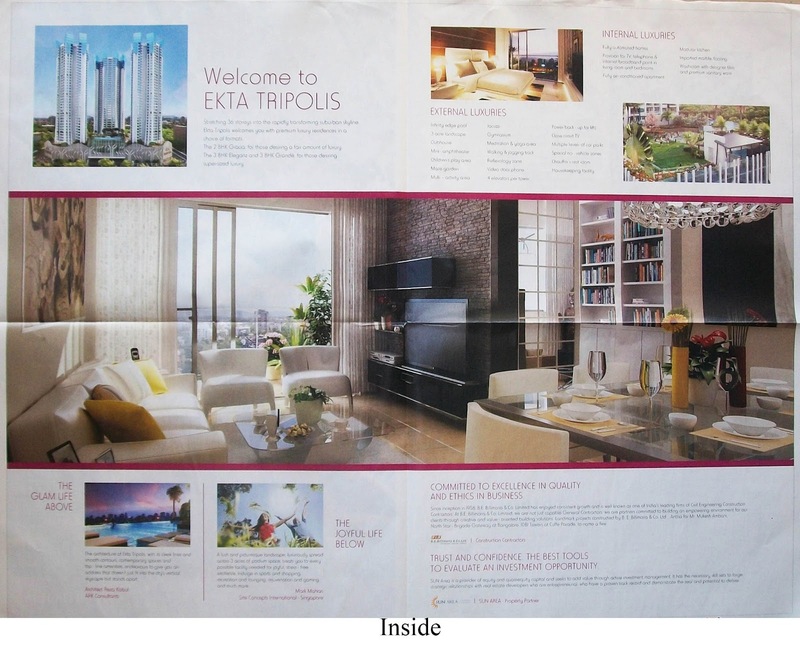 In the past print ads of properties presented only bare facts that the prospective buyer needed to know and usually carried an architect’s illustration of the building, ads of this type can still be seen but increasingly several property developers have been going beyond presenting basic facts and are addressing the various other needs of today’s buyers; thus making ads increasingly creative and innovative. However some developers’ ads merely carry stock images with cleverly written copy in the name of creativity; but there are developers who realize the importance of brand building in order to secure a place in today’s competitive market. This article is based on ads seen in Bombay, I am sure that the story will be more or less the same in the other major cities of India also. become important because today’s buyers are far more aware and better travelled, hence better informed than before and their expectations are high, this poses a challenge to the marketer/property developer. The expectations are no longer about certain amenities which the property developer is supposed to provide anyway, today’s buyers also want to know how by buying the particular property they can have a better life; this is exactly what some of the reputed builders are trying to address. 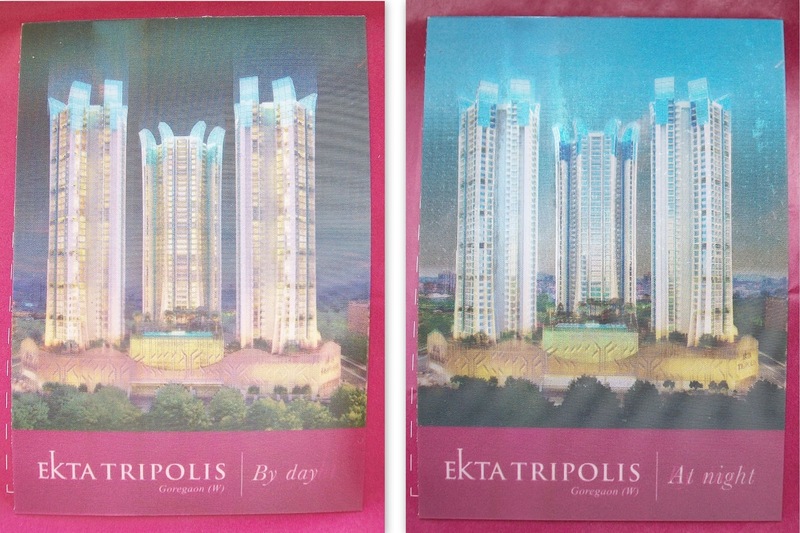 Young recently created a press ad for Ekta Tripolis, a residential housing complex launched by Ekta World in suburban Mumbai; this ad released in Hindustan Times and Times Property made use of a lenticular patch pasted on the ad to show day view and night view when viewed from different angles (see below). 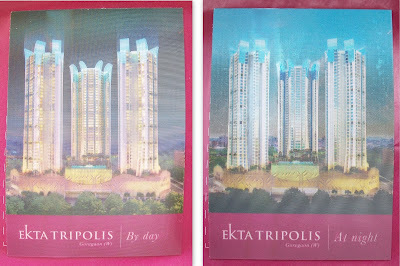 It was the first time this lenticular innovation was being used by a real estate developer in a press ad. The reasoning behind this innovation was that the Ekta Tripolis project is located in a micro market which already is cluttered with a plethora of choices for the target audience and there also is a slowdown in realty sales; the task before the agency was to conceive an idea which should be visually impactful and should make people take notice of the ad, the visual imagery should such that it appeals to the aspirational needs of the target audience, and finally should present the largeness of the project and do justice to the lifestyle enhancing amenities which the project offers. The expectation of the client was pretty simple (but did pose a challenge to execute), that as a result of the ad people should call up the their office and express desire to visit the site. 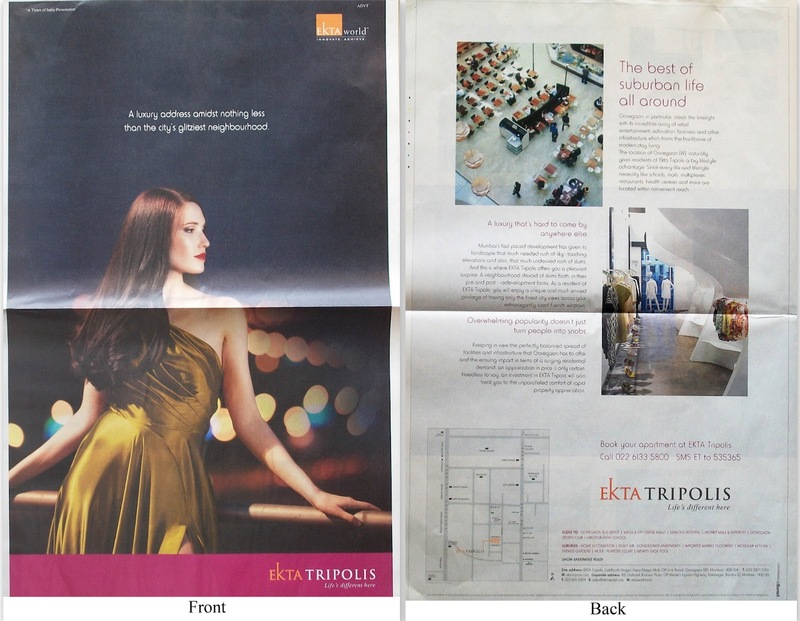 This single ad did have its desired effect, it fulfilled its purpose. After a week this was followed by a four-page pull out which mentioned various details. See below. I also happened to notice an interesting campaign which was Eco Greens Karjat, a project by Ecohomes Constructions; incidentally this campaign also happens to be from Young. Before the release of the press ad invitations were sent to prospective buyers (many of them who had bought property from Ecohomes in the past) inviting them for the launch of the project at Karjat, a hill station near Mumbai. The invitation was sent in the name of ‘The Mehtas’, characters created for this campaign. 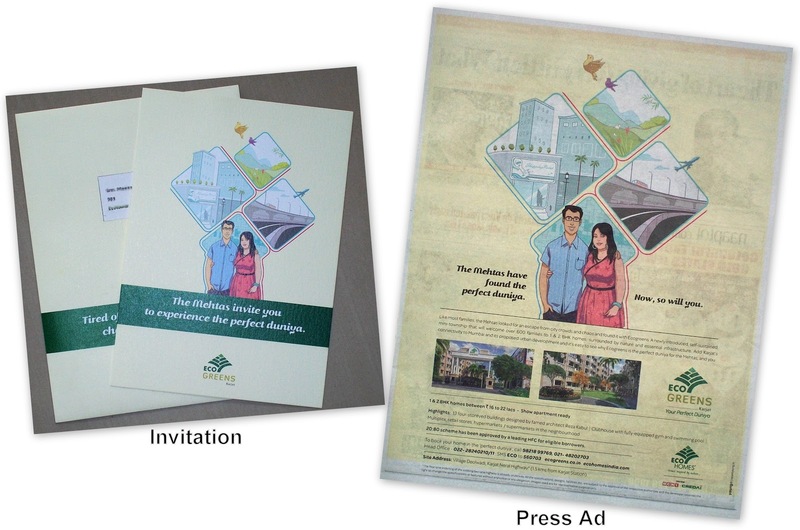 A press ad was also released as well as emails were also sent, both these featured ‘The Mehtas’. 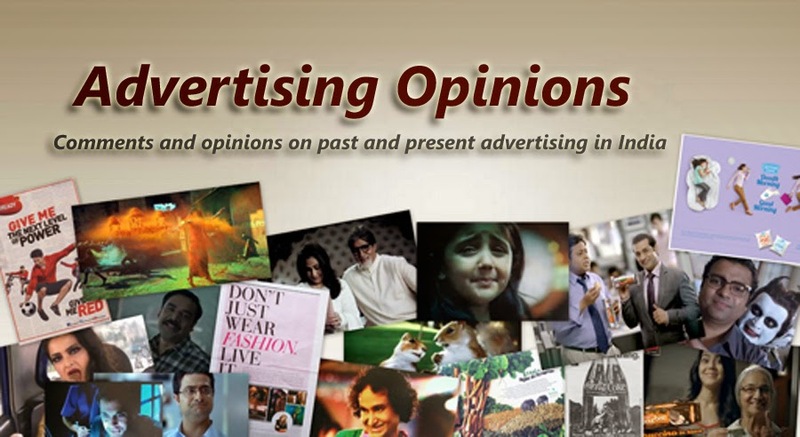 I discussed the subject of creativity in advertising of properties with Tushar Trivedi, an advertising professional who has been in the industry for over two decades. According to Trivedi there is a need felt by developers, at least the reputed ones or those who recognize the importance of brand building, to steer away from the beaten path and differentiate themselves by breaking the clutter. According to Trivedi advertising of properties developed by Lodha is creating a benchmark for advertising for premium properties by appealing to the aspirational side of the target audience; somehow, regardless of whichever place the property is being developed, the ads for Lodha properties always manage to create a premium position. 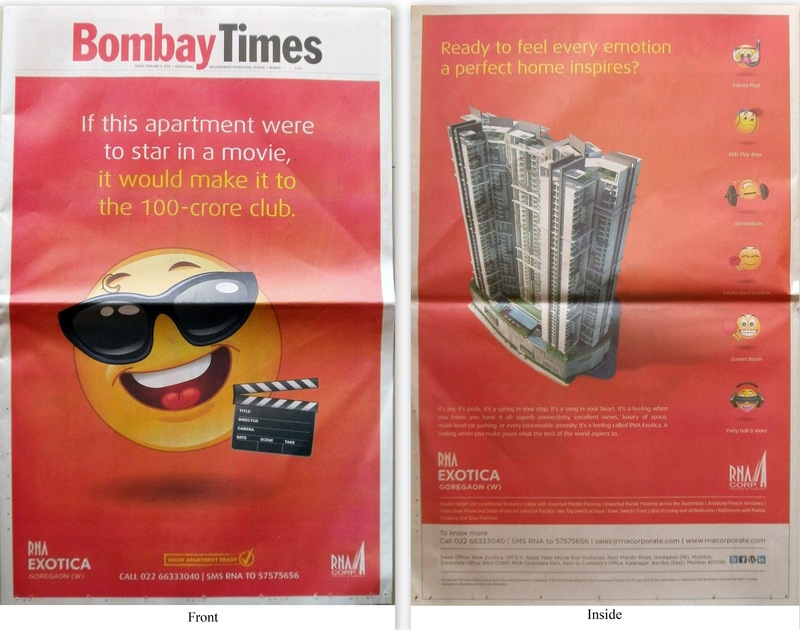 Trivedi also gave me an example of advertisements of properties developed by Rustomjee; these ads have taken a different creative route by striking an emotional chord. The ads explain as to how the various amenities they provide can improve your family’s life, particularly that of your children; children being the focus. 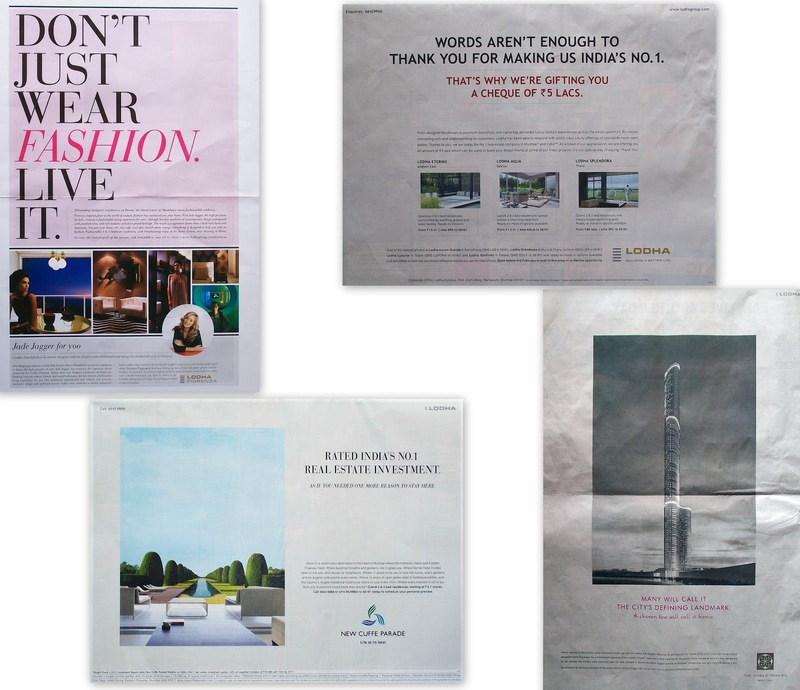 I find the visuals unique and attractive, the ads are made distinctly different and they do stand out. 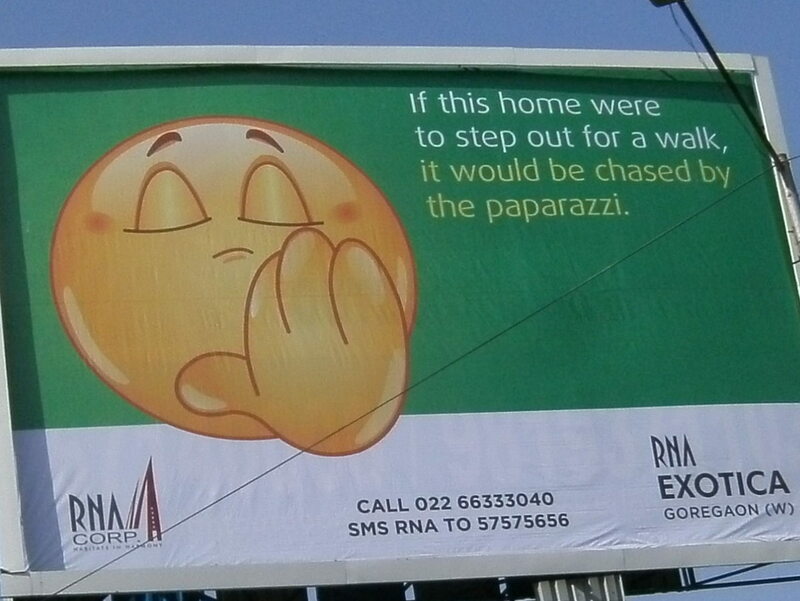 Another campaign that is currently running and is one of my favourites is that of RNA Corp, here are some samples, and these speak for themselves and I do not need to explain. 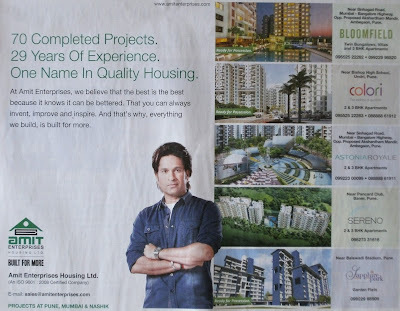 Finally I wish to mention about an advertisement of Amit Enterprises Housing Ltd., there is nothing creatively outstanding about the ad, the only way it is different is that to get noticed the ad uses a celebrity – Sachin Tendulkar. But I wonder in what way this can help, Mr. Tendulkar is obviously not going to live in any building constructed by this developer. 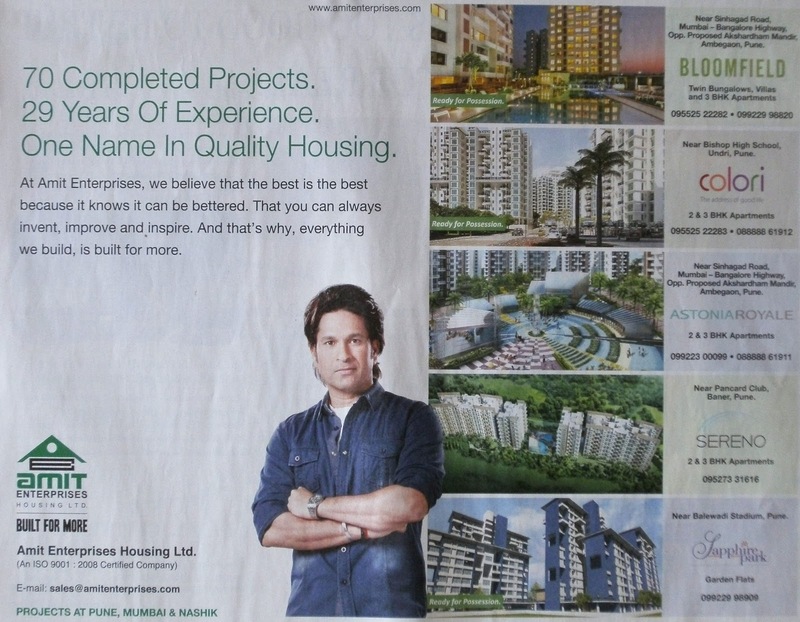 I don’t think his picture adds any real value to the communication because Mr. Tendulkar does not seem to be involved in the communication in any way; his picture is merely pasted on the ad. I found this blog while searching Google and read it interestingly. Thanks for the informative article increased my knowledge a lot.